We Are Not Official But Our Information Are! BiggBossOnline.com from season 1 to season 11 offering all the latest gossips, news, updates and contestants information of Bigg Boss 11 along with live streaming and full episodes online. We are updating this blog every season and only on this season we have not published any information before the show gets started but this we would like to only participate in real information not just what other news sites are saying! We will watch the show and update / share the information through the content and we will do upload / share the links of online full episodes of Bigg Boss 11. Bigg Boss 7: Day 45: In the episode, Bigg Boss 7 asks Kushal to leave the house immediately. Pratyusha, Gauhar and Kamya support Kushal and decide to leave the house with him. Further, Kushal again has a heated conversation with Andy and he leaves the house along with Gauhar. Later, Ajaz and Candy enter the Bigg Boss house to distract the housemates. Stay tuned to know more about this exciting show. Bigg Boss 7: Day 48, In the episode Andy and Sofali Hayat has entered in the main house and hugged to housemates, Andy keeps trying to apology to gauhar but she refuse it! Salman discussed with Gauhar and big debate with them! Watch Full Episode of Day 48 Weekend Ka Wow with Salman Khan. Salman Khan launches a brand new season of Bigg Boss and it's epic! Watch part 1 now. 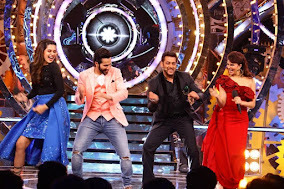 Salman joins the Judwaa 2 team as they groove to Tan Tana Tan. 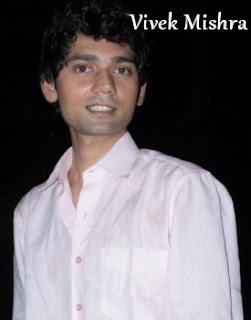 Vivek Mishra the additional spice in Bigg Boss Season 6 give kick start to TRP. Vivek has been approached for Bigg Boss Season 6and will be entering the house. The actor is trying to seek justice in Raja's case as he doesn't want any new comer to come across molestation. Vivek has filed complain and is continuously struggling for it. The makers of the show want him to take the cause further and wants to support his demand for change in the constitution.